Selena Gomez releases remixes for her infectious hit single “Hands to Myself.” The EP includes remixes from electro, dance, funk duo Betablock3r; New York based EDM DJ and producer Kevin Schuppel aka KANDY and much sought after musician Fareoh. for all announced tour dates and ticket information. Play MPE® is a registered trademark of Destiny Media Technologies Inc. This Sunday, March 6 at 9/8c - Spike Celebrates 100 Episodes of "Bar Rescue"
For Bar Rescue’s 100th episode, Jon Taffer heads to a Minneapolis, MN suburb to settle the score between two feuding bar owners at Mac & Chester’s and SRO. In a bar that is literally split in half, Taffer finds an owner with one foot out the door and another owner whose antics are putting his marriage in serious jeopardy. ” starring renowned bar and nightlife expert Jon Taffer is gearing up to celebrate a major landmark. The 100th episode of “Bar Rescue” is set to premiere on Sunday, March 6 at 9/8c on Spike. “Bar Rescue” features world-renowned bar and nightlife expert, Jon Taffer, as he gives failing establishments one last shot at success. Spike TV’s popular original series follows Taffer as he wields his three decades of experience in the restaurant, bar and nightclub business to help give failing bars nationwide one last chance to transform themselves into profitable businesses. This season, Taffer has rescued bars all across America in cities like New York, Philadelphia, Milwaukee, Chicago, New Jersey, Miami, Reno, San Francisco, Los Angeles, Portland, and San Diego. As the fourth season continues, Taffer will continue to rescue bars in Cleveland, Detroit, Minneapolis, St. Louis, Tampa, and Phoenix. “Bar Rescue” is produced by 3 Ball Entertainment. 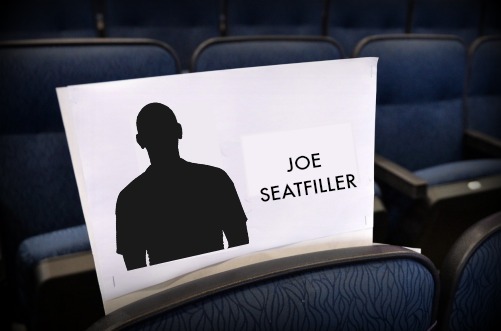 PASS IT ON: “Seat Filler” is no longer a term just used for Award Shows. 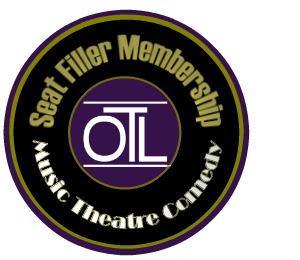 OTL (on the list) and the entire Seat Filler Network now make it possible for event lovers in cities across the U.S. (and the U.K. too) to enjoy Free Shows (Music, Theatre, Comedy & more) as Seat Fillers for the venue. MORE ABOUT “SEAT FILLING: Unlike Award Show Seat Fillers, OTL members get to bring guests, sit together and actually enjoy the show. A TRUE WIN-WIN: Members get the benefit of reserving “comp” tickets to the shows they select for nothing more than their $10/month membership dues and OTL entertainment partners get the benefit of a bigger audience, more food & beverage income, and the chance to introduce some new people to their awesome performances. SHHH: OTL members and management never publicly share the names of OTL’s Entertainment Partners to avoid impacting regular ticket sales. Members are not part of OTL to receive free tickets to one type of show anyway. They’re on board to be introduced to new shows and a wide variety of them. You guys rock!!! I love being a member of OTL in Denver. Membership has allowed me to have entertainment play a much bigger role in my life, and I am ever so grateful to you all!!! L.S. or by clicking contact on any OTL website for assistance. Urban Expositions is delighted to announce new dates for the 9th edition of Art Hamptons, the original fine art fair of the Hamptons. The public dates for the fair are confirmed to take place June 23 -26, 2016, with an invitation-only preview on Thursday, June 23, 2016 at 5pm. The 2016 event will commence in Bridgehampton, NY at the private estate grounds of Maria and Kenneth Fishel, located at 900 Lumber Lane and Scuttle Hole Rd., the host venue for the 2015 edition of Art Hamptons. The Opening Night Preview of Art Hamptons will benefit both LongHouse Reserve (East Hampton NY) and the Samuel Waxman Cancer Research Foundation. Internationally renowned textile designer and author Jack Lenor Larsen will co-chair the inaugural Host Committee with Maria and Kenneth Fishel, who have been involved with and supported the Samuel Waxman Cancer Research Foundation's mission to eradicate cancer and raise funds for cutting-edge research. "We are thrilled to work in partnership with these two illustrious organizations. Their support and dedication to their respective fields is unmatched, and we are pleased to align with them in this year of important milestones," notes Donna Davies, Vice President of Art Group for Urban Expositions. 2016 marks the 25th anniversary of LongHouse Reserve, while the Samuel Waxman Cancer Research Foundation is celebrating 40 years of tireless research. Now in its 9th year, Art Hamptons will kick off the 2016 Hamptons summer season with an exceptional selection of modern and contemporary artwork presented by leading galleries throughout the US and around the world, showcasing work ranging from emerging artists to modern masters. Complementing the quality of exhibitor presentations, the fair will also include a robust series of events and special programming including expert panel discussions, VIP parties offering an engaging and well-curated summer art fair experience. Black Card: Thursday, June 23th, 5:00 - 9:00 p.m.
VIP Preview: Thursday, June 23th, 7:00 - 9:00 p.m.
Friday, June 24th, 11:00 a.m. - 8:00 p.m.
Saturday, June 25th, 11:00 a.m. - 8:00 p.m.
Sunday, June 26th, 11:00 a.m. - 6:00 p.m. Admits two to Opening Night Preview on Thursday June 23, 2016. Enjoy complimentary wine bar and light hor d’oeuvres from 5-7 p.m., plus access to the VIP Lounge, and unlimited entry to the fair June 23-26, 2016. Admits two to Opening Night Preview on Thursday June 23nd from 7-9 p.m. and includes access to the VIP Lounge and unlimited entry to the fair June 23-26, 2016. Onsite parking avaiable. Valet parking available for a fee. Based in Kennesaw, GA, and founded in 1995, Urban Expositions produces and manages a portfolio of 40 events including Art Aspen, Art Hamptons, Houston Fine Art Fair, Palm Springs Fine Art Fair, and the Sculpture Objects Functional Art and Design Fair (SOFA CHICAGO). Copyright © 2016 A & O PR, All rights reserved. The life of Jacob Riis, a late-19th/early-20th century newspaper reporter and writer, whose stories and photographs of the squalid conditions in New York City’s tenements led to social reform, will be explored in a new Library of Congress exhibition. “Jacob Riis: Revealing ‘How the Other Half Lives’” will open on Thursday, April 14 in the South Gallery on the second level of the Library’s Thomas Jefferson Building, 10 First St. S.E., Washington, D.C. The exhibition is free and open to the public from 8:30 a.m. to 4:30 p.m. Monday through Saturday. It closes on Monday, Sept. 5, 2016. The exhibition is a co-presentation of the Library of Congress and the Museum of the City of New York. It combines items from the Library’s Jacob A. Riis Papers and the museum’s Jacob A. Riis Collection of photographs. Currently, the exhibition, under the title “Jacob A. Riis: Revealing New York’s Other Half,” is on display until March 20 at the Museum of the City of New York. Riis is one of the first to use innovations in documentary photography to great effect. He experimented with new techniques of flash photography and created rare images of tenement interiors, as well as outdoor photos of street and city life. He used these pictures as a compelling complement to his written words. Although he was well aware of the power of photography, he did not consider himself a photographer. The Library’s exhibition repositions Riis as he saw himself—a highly skilled communicator who devoted his life to writing articles and books, delivering lectures nationwide and doggedly advocating for social change. He brought attention to the crises in housing, education, crime and poverty that arose at the height of European immigration to New York City in the late-19th century. His crusading journalism led to safer water, better housing, the creation of parks in New York City and other reforms. On display will be correspondence, including three letters from Theodore Roosevelt and one to Booker T. Washington; photographs; fire insurance maps that help show the locations of Riis’ photographs; drafts and published works; lecture notes; reviews of his lectures; family correspondence and family photographs; appointment books; and journal entries. The exhibition also will feature a lantern-slide projector and camera equipment similar to those Riis used—a Blair Hawkeye Detective camera (7 inches by 17 inches by 13 inches), a glass-plate holder and a flash pan. An online version of the exhibition will be available on the opening date at loc.gov/exhibits/. Jacob August Riis was born May 3, 1849 in Ribe, Denmark. The son of a schoolmaster, he was educated locally, leaving school for work at age 15. He immigrated to the United States in 1870. The New York Tribune hired him as a police reporter in 1877, and he wrote about crime and disease, documenting life in the tenements. In 1888, he started working for the New York Evening Sun and started taking photographs, using a new German innovation, flash photography. It was a novel idea at the time to use photographs to substantiate words. The wretched living and working conditions of New York’s immigrant communities were made vivid by the harrowing images, which were meant to spur his audiences to act. His career as a reformer took shape. He worked at the Sun until 1899. From the 1890s to 1910, he wrote many magazine articles and nine books and lectured nationwide. He died on May 26, 1914. The exhibition has a companion volume, “Jacob Riis: Revealing New York’s Other Half,” written by Bonnie Yochelson, who spent more than two decades researching Riis and assembling materials. The 336-page hardcover book, published by Yale University Press in association with the Library of Congress and the Museum of the City of New York, is the first comprehensive study and complete catalogue of Riis’ images. The book contains more than 600 images and is available for $65 in the Library of Congress Shop in the Thomas Jefferson Building. Credit-card orders are taken at (888) 682-3557 or loc.gov/shop/. The exhibition and its programming at the Library of Congress are made possible through the generous support from the Library of Congress Third Century Fund; Queen Margrethe and Prince Henrik’s Foundation; the Ministry of Foreign Affairs of Denmark, Danish Ministry of Culture, and the Danish Agency for Culture and Palaces; the Royal Danish Embassy; and the Robert Mapplethorpe Foundation. Later this year, other versions of the exhibition—combining Library of Congress and Museum of the City of New York resources with additional Riis-related objects—will be presented in Denmark. The first will be at the Kunstforeningen GL Strand museum in Copenhagen from Oct. 1, 2016 to Jan. 8, 2017, and the second at the Ribe Kunstmuseum in Riis’s home town of Ribe, Denmark, from Jan. 21, 2017 to May 14, 2017. The Manuscript Division of the Library of Congress acquired the Jacob A. Riis Papers in the early 1950s as a gift of Riis’ second wife and widow, Mary Phillips Riis (1877-1967), who was a longtime social welfare advocate and board member of the Jacob A. Riis Neighborhood Settlement in New York. Additions have been made by generations of the Riis family, including Jacob Riis Owre, Ruth Riis Jones, Oscar T. Owre and Martha Riis Moore. The Manuscript Division also holds the papers of Jacob Riis’s son, Roger William Riis (1894-1953), an author and editor. That collection contains family correspondence and other materials gifted by Riis family members Jacob Riis Owre and Martha Riis Moore. The Library of Congress, the largest library in the world, holds more than 162 million items in various languages, disciplines and formats. The Library serves the U.S. Congress and the nation both on-site in its reading rooms on Capitol Hill and through its website at loc.gov. A wonder of nature takes root at Macy’s this Spring as America’s vast and varied landscapes bloom in unison at the 2016 Macy’s Flower Show®, Sprouting to life at Macy’s on State Street. Macy’s Flower Show celebrates our nation’s natural beauty from sea to shining sea. America the Beautiful, the theme of this year’s magnificent floral showcase will transport spectators from the bright hues of the Southeast’s tropical blooms to the Northeast’s coastal grasses and from the Midwest’s fruited plains to the cactus lined deserts of the Southwest, among other landscapes; starting Sunday, March 20th through Sunday, April 3rd. For more than 20 years, Macy’s Flower Show has delighted generations of floral aficionados with extravagant presentations of gardens that showcase thousands of live flowers, plants and trees. Taking root in the 9th Floor Event Center of Macy’s on State Street, the gardens are planted into specially designed architecture and full-scale presentations. This year, spectators will be welcomed by a unique floral interpretation of Lady Liberty’s iconic torch, which will serve as the centerpiece of the exhibitions. In addition to marking the official celebration for the start of the spring season, Macy’s Flower Show also features participation from some of the Chicago’s top floral designers. A rotating list of stars will create the fan favorite “Bouquet of the Day”, an extravagant centerpiece uniquely fashioned by each designer to interpret the show’s America the Beautiful theme in their own aesthetic. A Macy’s Flower Show and History Tour will be offered on Friday, March 25 and April 1 at 11:30 a.m. The tour is 60 minutes in length, costs $12 per person and includes history of the State Street building including the breathtaking Tiffany vaulted ceiling, the graceful Burnham fountain, the world-renowned Walnut Room restaurant, and of course, a walk through the annual Flower Show. Private tours for groups of 10 or more are available with a 1-week advance reservation. Contact the Visitor Information Center for details, 312.781.4483 or visitmacys.chicago@macys.com. Macy’s Walnut Room and Wine Bar are celebrating Macy’s Flower Show by offering specialty cocktails and wine flights. The Walnut Room will feature an artistic grand floral centerpiece sure to help set the mood while sipping on a Hibiscus Mojito, Birds of Paradise, Blackberry Fizz, Hibiscus Tea, Mint Julep, or Blackberry Rosehip Bramble. Macy’s floral spring tradition is made possible nationally thanks to partners including Girl Scouts of the United States of America, Homewood Suites by Hilton®, Krazy Glue®, Royal Caribbean International®, and Sinclair Oil.
. To continue the conversation on social media, please use #MacysFlowerShow. Introducing an innovative new performance venue coming to Navy Pier. Announced today: The Yard at Chicago Shakespeare, a forward-thinking new performance venue slated to hold its first performance during the Chicago Shakespeare Theater’s 2017-18 Season. The Yard will be connected to the existing facility, which currently houses two theaters, through expanded lobbies. The year-round, flexible venue can be configured in a variety of shapes and sizes with audience capacities ranging from 150 to 850, defining the audience – artist relationship to best serve each production. The Yard at Chicago Shakespeare is integral to Navy Pier's Centennial Vision, a reimagining of the Midwest's most visited leisure destination celebrating its 100th anniversary this year. The new and renovated features are designed to expand Navy Pier's impact and audience, showcasing a vibrant cultural, environmental, educational and recreational landscape. The Yard at Chicago Shakespeare, designed by UK-based Charcoalblue and Chicago’s Adrian Smith + Gordon Gill Architecture. Images courtesy of Chicago Shakespeare Theater. Copyright © 2016 Navy Pier Inc., All rights reserved.